The legendary ladies will take over Dublin's Bord Gais Energy Theatre on December 10! Competitions 4 December, 2018 . Written by Peter Dunne. Joy to the world! It’s time to take those pre-Christmas blues and turn them pink, as seven of the most beloved, controversial and hilarious queens in Drag Race herstory get ready to take the Bord Gais Energy Theatre by snowstorm! 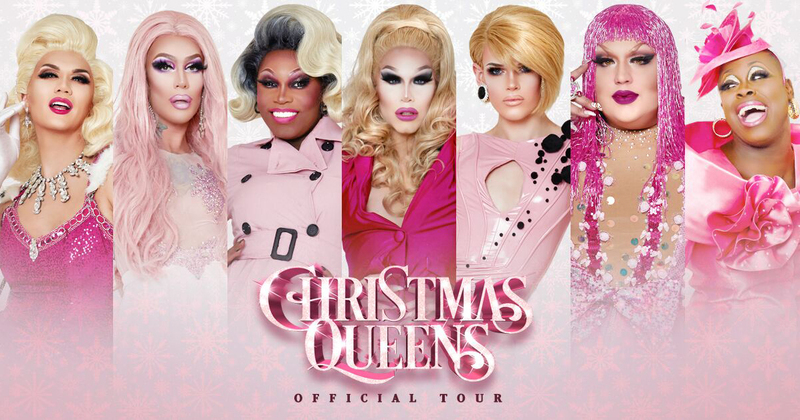 The Christmas Queens Tour promises to be the ultimate in Yuletide entertainment and you can be guaranteed these queens came to sleigh. Best of all? We’ve got five pairs of tickets in our Christmas stocking ready to be won! So which of the RuPaul girls can the lucky winners expect to see? Season Eight winner, the hilarious Bob The Drag Queen, will be your incomparable host for the evening, overseeing a live comedy-musical spectacular. Fellow champion, and no stranger to Irish audiences, Sharon Needles will bring her own spooky stylings to make this a true nightmare before Christmas. Soon to be seen in All Stars 4, Manila Luzon will entertain with her utterly unique brand of kook, while the adorable and adored Blair St. Clair is sure of a toasty reception. Lip sync assassin Kameron Michaels will remind audiences why she’s an entertainer for the ages. “I’m excited to spread cheers and queers throughout Europe this season. I’m feeling jolly all over just thinking about it,” she tells us. Are you ready to join the girls for a truly Mary Christmas?! Answer the question below for your chance to join the queens on December 10. Competition closes Friday 7 and winners will be announced the same day! This competition has now closed and winners have been informed by email. Check gcn.ie/competitions for the latest.